Bird Conservation: Evidence for the Effects of Interventions brings together scientific evidence and experience relevant to the practical conservation of wild birds. The authors worked with an international group of bird experts and conservationists to develop a global list of interventions that could benefit wild birds. 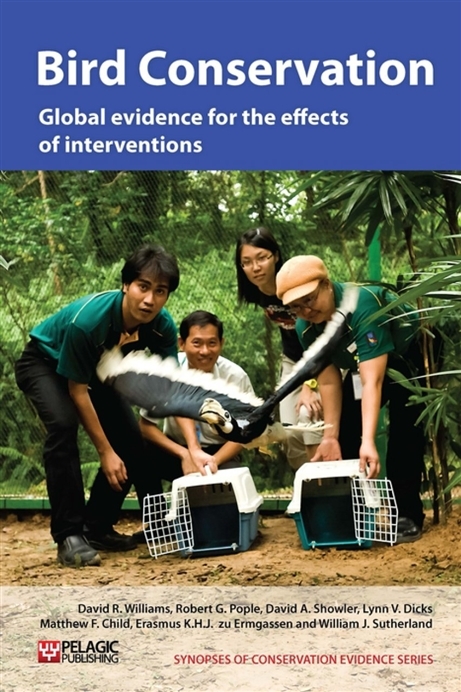 For each intervention, Bird Conservation: Evidence for the Effects of Interventions summarises studies captured by the Conservation Evidence project, where that intervention has been tested and its effects on birds quantified. 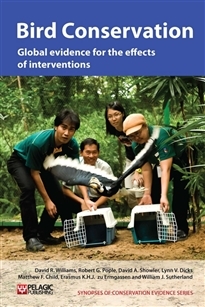 The result is a thorough guide to what is known, or not known, about the effectiveness of bird conservation actions throughout the world. The preparation of this volume was funded by the Natural Environment Research Council and Arcadia.